Here’s a handy little chart I came across while helping a student figure out what micron sanding papers they had. I’ve always worked with regular wet/dry sanding paper so I’ve never committed the micron numbers to memory and how they compare to grit. 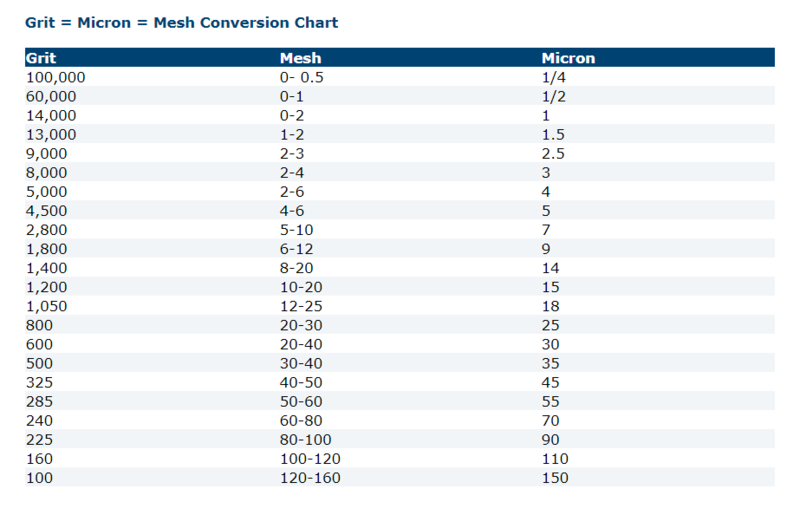 This chart also includes the mesh sanding range as well. The original chart can be found on the Gesswein website. You can download the image to print or keep on your phone for quick reference.